Hi All ! I am from Turkey and I am newbie. I have a problem with acronis bootable cd. I tried to boot this image with .img or .bif extensions. I tried "run" and "bootinfotable;run" commands. All the time I get and error the image is too large. So I cant boot it. But in the picture you can see I can boot it from VMware and also from my laptop. &#304;t works good. But I want to make a boot cd includes XP cd and this cd. 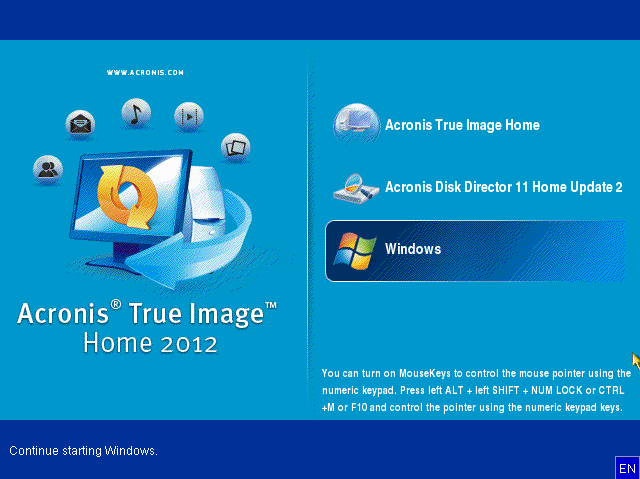 Quote: "I have a problem with acronis bootable cd"
Thanks for the guide. But is this something that is a workaround? I mean, it would be nice to have this updated in the future releases. Quote: "But is this something that is a workaround? I mean, it would be nice to have this updated in the future releases"
However, before this was possible in EasyBoot (before v-6 or later) I recommended to use my script 'easyboot-iso.script' that is able to directly launch acronis.iso-file as is.